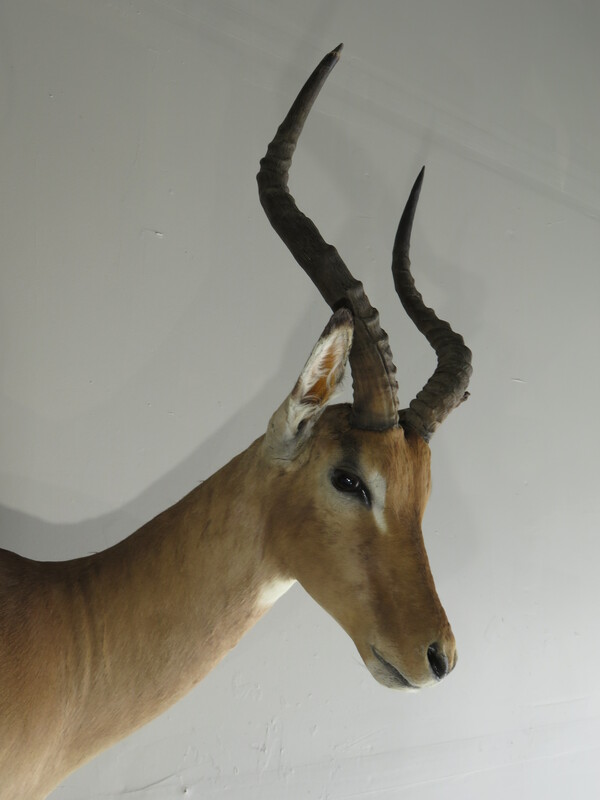 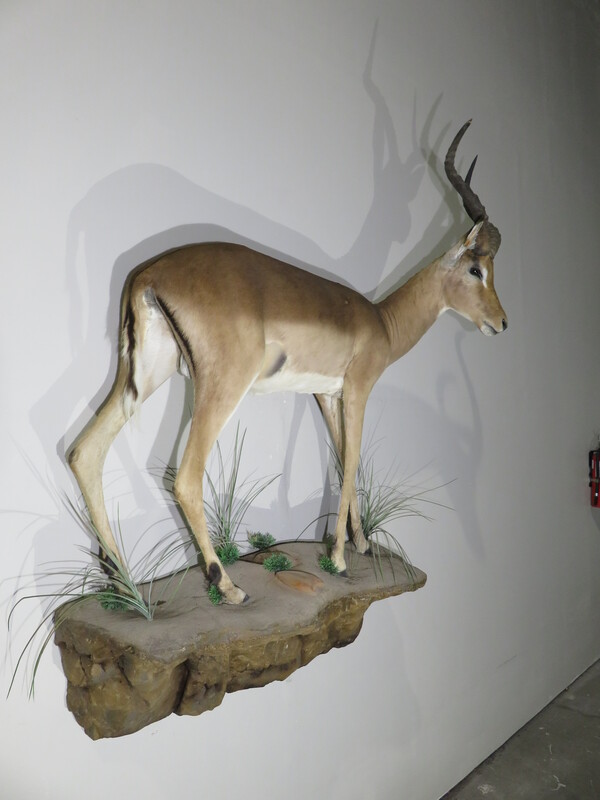 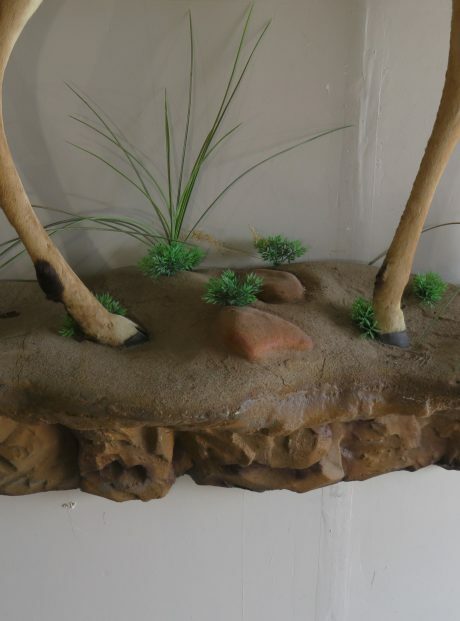 This is a beautiful African Impala life sized mount with terrain base. 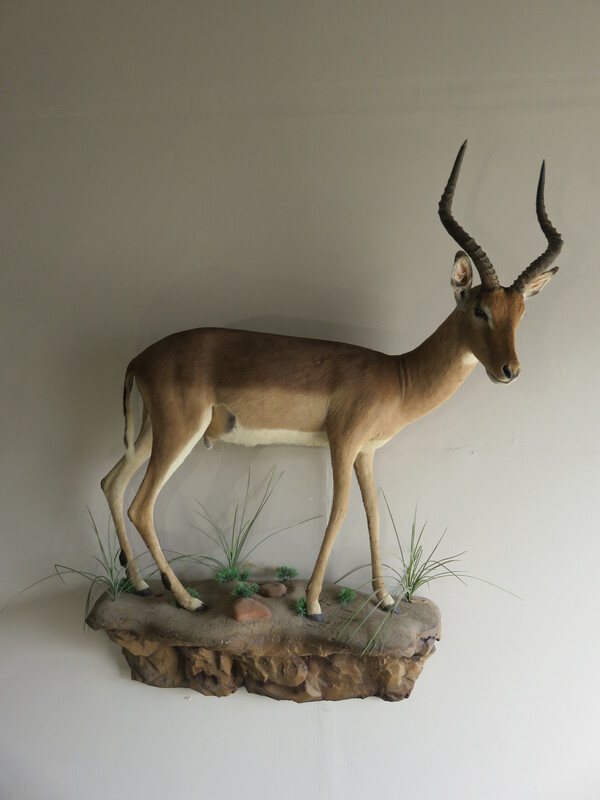 He has a great natural pose standing with his right side towards the room. 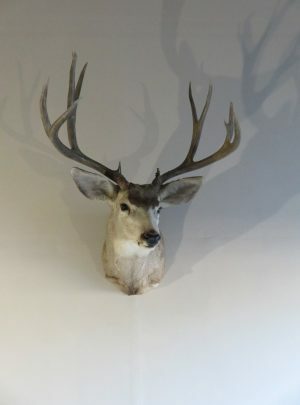 He is facing over his right looking into the room. 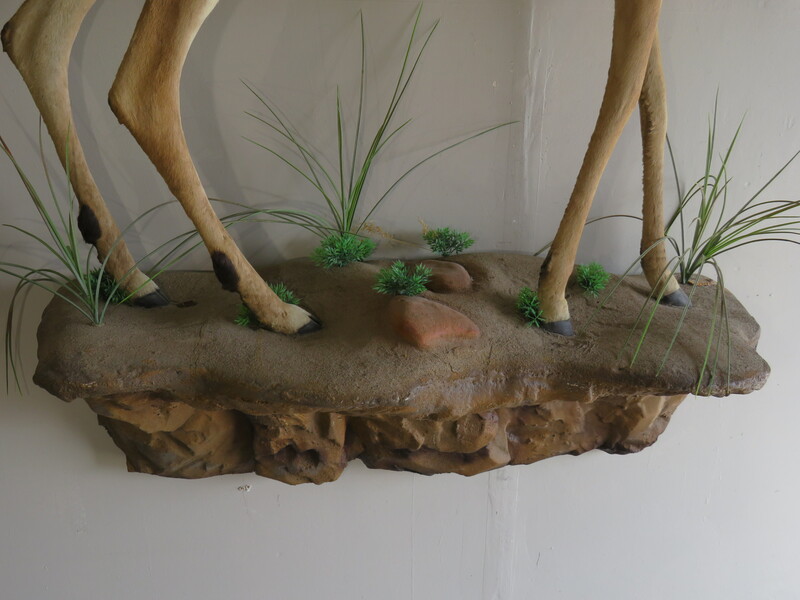 (See attached photos) The base is a wall display and can be secured to the wall with two (2) screws. 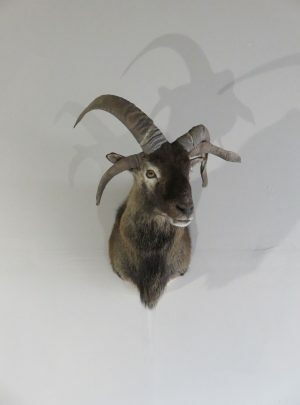 A great taxidermy mount that is of a showroom quality that would work in the home, lodge or business. 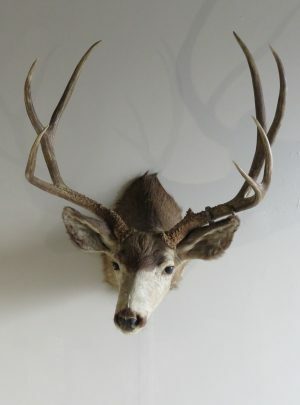 Aside from being a beautiful showroom quality mount, this buck has a set of SCI trophy class horns. Horns measure 20 2/8″ and 20 7/8″ with bases of 5 4/8″ each. 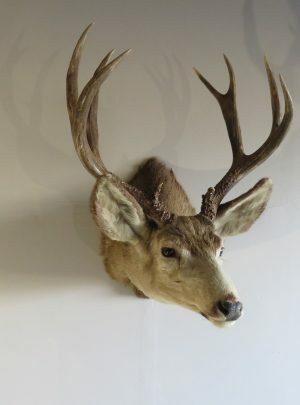 This yields him a gross score of 52 1/8″ which qualifies him as a Bronze Medal class rack in the Safari Club International (SCI) scoring. 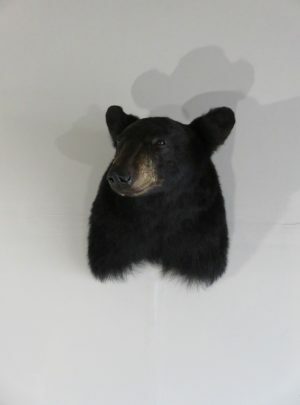 Overall mount dimensions are 66″ high x 54″ long x 19″ deep. 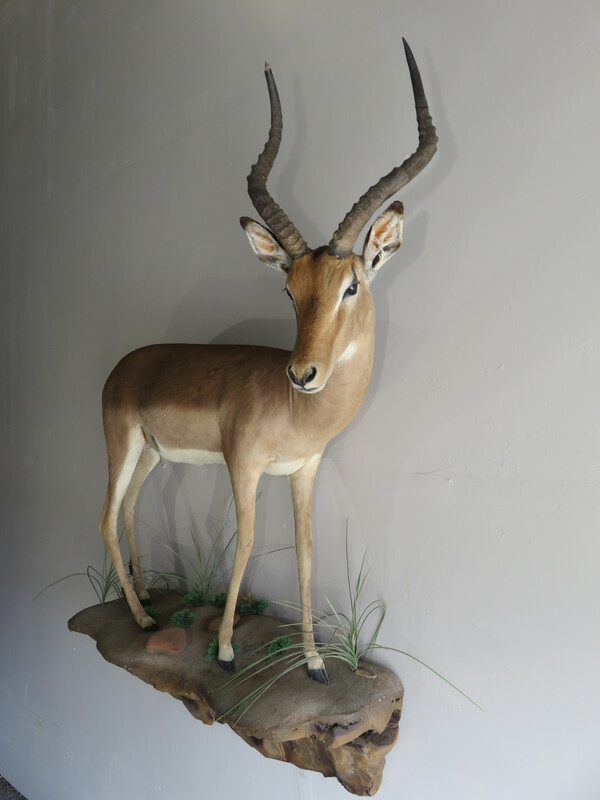 This mount requires more than normal height, so make sure he will fit in your display area. 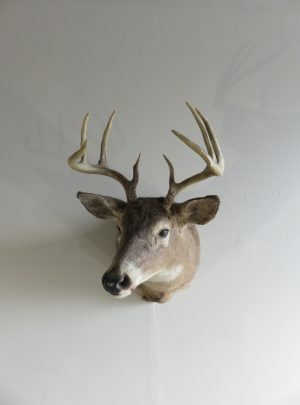 All things considered, this is a great mount. 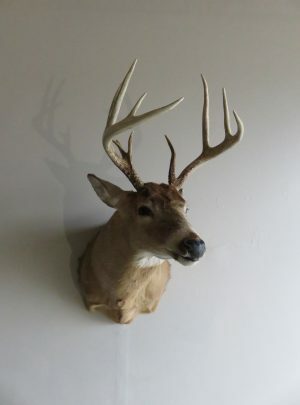 We have awarded this item a rating of “Premier”. 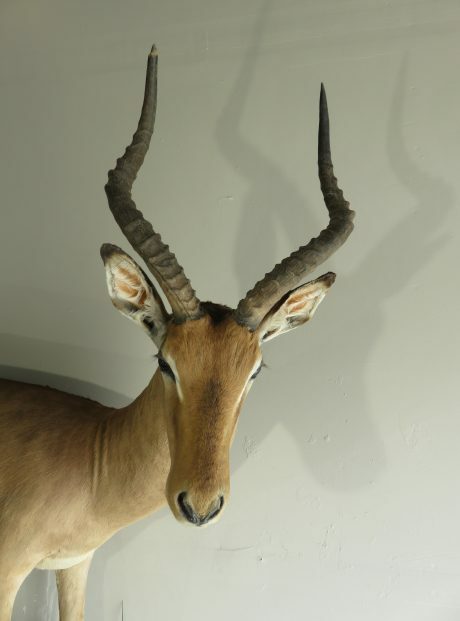 It would make a great addition to any African or world collection of big game species. 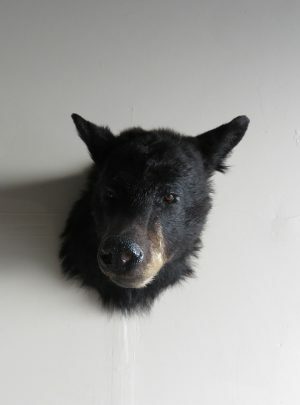 Also he would make a great stand alone item for the home, lodge or business.